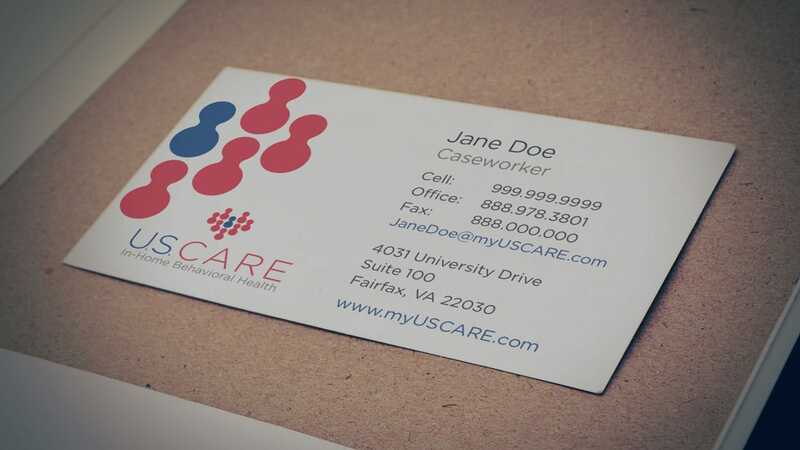 U.S. Care is a Washington, D.C. area in-home health care provider that specializes in helping people with mental health and substance abuse issues. They really focus on empowering people to achieve their goals by enhancing their personal strengths and abilities. The logo is meant to show the influence and love a person can have when surrounded by a strong community. U.S. Care had gone through a few rounds of design services with other companies out on the East Coast. Not to get into ‘costal elite’ discussion, but looking at this design one has to wonder what they were thinking. Kerning anyone? Non-generic icons maybe? But I digress. The design we started with wasn’t all that bad, but it really isn’t all that good either.